I’m not sure why, but I’m thinking concrete tiles for the basement at the bottom of the stairs. I really want to dress up this area since its the way to the only bathroom in the apartment, and the bathroom just got a makeover. I really want to do a checker pattern on a diagonal with a light grey and a medium grey alternating, but I’m not sure if I can find what I have in mind. 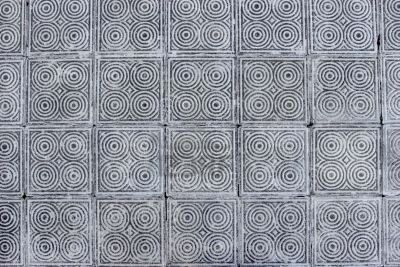 As always, I figure I could always make the tiles myself… But here are some really interesting examples of concrete tiles I came across.